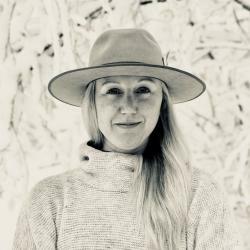 Katie is the nation's first-ever cannabis style writer here at The Cannabist and High Country columnist at The Aspen Times. Her company, Katie Shapiro Media, specializes in publicity for Colorado-produced films and film festivals. Spring break is in full swing at Aspen-Snowmass and while recreational marijuana has been legal since 2014, many a tourist are still first timers. Now that the snow is finally falling, here’s where to find a cannabis massage in Aspen so you can make the most of every powder day. In her new column, High Country, Katie Shapiro fires up the cannabis conversation at X Games Aspen, where weed is prevalent at après ski parties, but cultural acceptance remains elusive. Let’s take a moment to mark strides for marijuana and key cannabis lifestyle trends that defined the past year, in the past twelve months. Here, in no particular order. Help your horticulturalist’s home marijuana garden grow with gifts from Cloudponics, SoHum Living Soils, Trim Station, PRO 420 and Grower’s Edge. Give high scores this holiday season with these weed gifts for gamers. For the ramblin’ man and woman, here are some weed- and travel-themed ideas from Dr. Bronner’s, SilverStick, Dipstick Vapes, Danner, Eagle Creek & more. We’ve cooked up a marijuana gift guide with tasty edibles, top cannabis kitchen gadgets and the best weed recipes. Looking for gift ideas for the true cannabis connoisseur? Wow them with a thoughtful weed gift, from a luxe smoking accessory to a high-end storage solution. Step up your barbecue and picnic game with these hot items for higher hosting. Inspiration for weed gifts for your friends – or treat yourself. Marijuana-themed festivals and retreats: Here are the 11 best 420-friendly events to put on your radar for the year ahead. Get a first look at the limited-edition Marley Natural line of anniversary strains, featuring artwork from Bob Marley longtime art director Neville Garrick. In some cool cannabis collaboration news, on-the-rise lifestyle brands Tokyo Smoke and Van der Pop have joined forces, forging a Canada-U.S. connection. (UPDATE: Get details on the May 2017 scheduled screenings.) Director Amir Bar-Lev’s talks about his 15-year journey to create the Grateful Dead documentary ‘Long Strange Trip’ and how cannabis culture fits in. Alice + Olivia CEO Stacey Bendet taps into husband’s work as producer for ‘Long Strange Trip’ documentary with her dancing bears ensemble at Sundance. A shopping guide for the notoriously chill stoners who have unknowingly long enjoyed hygge, the Danish concept of achieving high levels of coziness. What’s heaven for Andrew Garfield? Going to Disneyland with Emma Stone and friends “really f-ing high.” SAME. SWOON. In the midst of the ongoing saga of the Mariah Carey New Year’s Eve meltdown, photos surfaced from a trip to an Aspen pot shop during her Colorado vacation. Before welcoming in 2017, let’s take a moment to mark the monumental strides for marijuana in the past twelve months. Science-minded chef Chris Yang is ramping up his Pop Cultivate private cannabis supper club in Los Angeles. Get the details and an infused seasonal recipe. Pantone color of the year: Pantone Color Institute announces Greenery is its 2017 color of the year, which makes us think of the influence of cannabis style. In smoke-and-you-missed-it news, Milk Makeup has a face-blotting and rolling papers combo pack as part of its 85-piece line, called Roll + Blot. 20 hot weed gifts for 2016: Unique gifts for all budgets include smoking accessories, storage options, edibles, entertainment, scents, balms and more. Anita Thompson, widow of author and journalist Hunter S. Thompson, has announced plans for a Gonzo brand of cannabis for recreational marijuana shops. The days of ducking into a dingy shop for new smoking gear are over, thanks to forward-thinking ganjapreneurs, many of them women. This movie star doesn’t talk about marijuana in her “Saturday Night Live” monologue, but her wardrobe choice says plenty about normalization. ‘High Maintenance’ creators Ben Sinclair and Katja Blichfeld describe marijuana’s role in their creative process as ‘expansive’. The cannabis industry is luring executives and influencers away from the most influential technology companies and lifestyle brands in America. Why they jumping to the weed ship, in their own words. Pot-concert poster child (and we mean child in every sense of the word here) Lil Wayne threw a tantrum of epic proportions. The revival of U.S. hemp farming is the subject of short film “Harvesting Liberty,” backed by clothing company Patagonia to promote passage of the federal Industrial Hemp Act. Move over edibles, lotions and tincture potions — there’s an entire new realm of cannabis-infused products hitting the shelves of dispensaries and recreational shops as marijuana moves even further into the mainstream. NORML had its annual meeting of the marijuana minds in Aspen in June. The event focused on legal issues has changed in recent years, but legalization is at the forefront. Whether the ganja guy in your life is an old-time stoner or someone newer to the smoking scene, it’s high time to take his toolkit to the next level. We’ve rounded up essential items to gift all of the pops out there who partake. Legendary comedian Roseanne Barr talks about her 2012 bid for president that was captured in a documentary that also shows her smoking pot, a lot. It appears medical marijuana sellers in Canada are charging ahead despite recent crackdowns. Police have executed search warrants and seized products from stores they believe are selling to recreational consumers, which is still illegal. A new study, published in the June issue of the Journal of the American Academy of Child & Adolescent Psychiatry, says the number of teens with marijuana-related problems and the percentage of use have declined in recent years. New York City Police Commissioner Bill Bratton had some choice, and confusing, words about cannabis legalization in an interview with host John Catsimatidis on AM 970’s Cats Roundtable radio show recently. The Wealth Shop in the upscale neighborhood of Point Grey has received Vancouver’s first license to operate for a cannabis business. “The Nightly Show” with Larry Wilmore has a new weed segment — and the Comedy Central host takes jabs at the NFL, senior smokers and Pueblo, Colorado.